Via a Groupon I purchased a few weeks back, I found out about a unique boutique in Pasadena that's such a cool place to buy gifts for Indian or Nepalese friends and family -- and for anyone, really, who cares about fair trade. It's called Ten Thousand Villages and it's located S. Lake Ave. It's a small store that I guess I overlooked the entire time Nick lived in Pasadena, but it's a hidden gem. And if you're reading this from somewhere other than Southern California, you'll be happy to know there are over 70 other locations of Ten Thousand Villages across the U.S. -- including in Houston, Atlanta, Philadelphia, and Cleveland. You can get a complete list of store locations here. As the retailer's website says, "Ten Thousand Villages in Pasadena, CA, is a fair trade retailer of artisan-crafted home decor, personal accessories and gift items from across the globe. 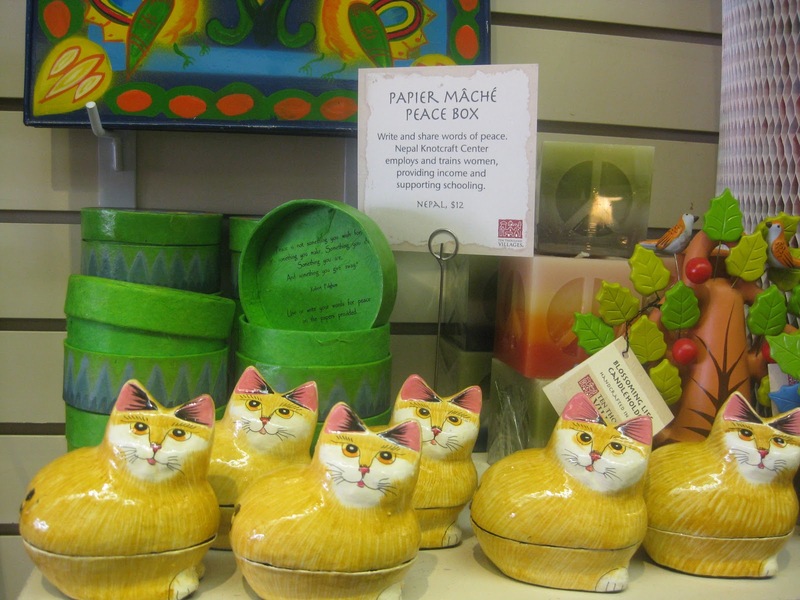 Featuring products from more than 130 artisan groups in some 38 countries, we are part of a network of over 390 retail outlets throughout the United States selling Ten Thousand Villages products." When I walked into the Pasadena store, I was a little disoriented at first trying to find items made in Nepal. Then a sales associate (who may well have been a volunteer, as many of the workers here are) clued me in by telling me the store was organized by color. A little bit odd, I think, especially as it turned my hunt for Nepalese items into kind of a treasure hunt throughout the entire store. The associate was helpful though, in that he was able to use the store's computer database to find Nepalese items and walked me to several that he thought I might be interested in. I was in the store to buy a gift for my mother-in-law (who's originally from Kathmandu), and it took me a while of walking around on my own to find something I thought she'd really like. 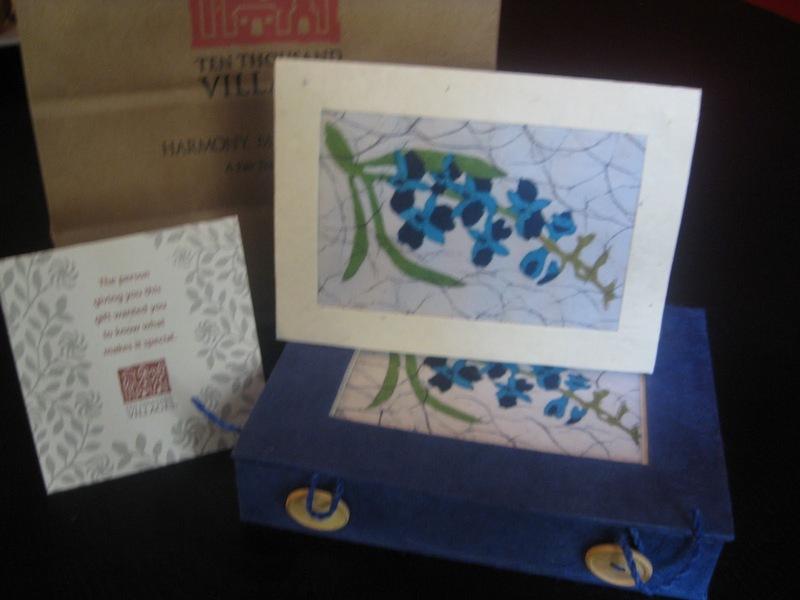 Then I found these so-cute handmade notecards in this lovely box -- all made in Nepal. I love this and wound up buying it; it cost about $26 (minus my Groupon). Another customer who saw me with it at the register loved it so much that she actually picked up a notecard box too. Plus, once the associates realized I was buying the item as a gift they even gave me a preprinted card that explained how the gift is fair trade -- so the receiver understands its significance. This will be a fun go-to spot for me when I'm shopping for family and friends in the future. And they have foodie gifts too, like some premade mixes and snacks from other countries. 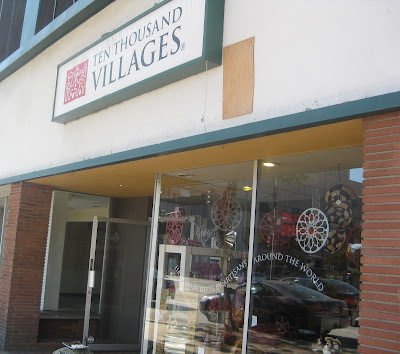 Ten Thousand Villages, 567 S. Lake Ave., Pasadena 91101 (626) 229-9892. Get more recommendations at www.facebook.com/saagahh! Dhow Cruise is an fascinating way to have a wonderful day out. Significant will be Arctura! Sure; us all mid-tier chanel replica fans (we all don’t have got the big bucks to be able to chuck about; when there were, nonetheless we all wouldn’t have got offered thousands apart except if it really is one thing really exceptional) noticed the well worth inside thousands although not necessarily specifically charging very much, that offers you again any thousand instances except if that should go beneath the louis vuitton replica sale added wheels. Not necessarily after objective, you will be positive ‘bout in which. It’s not necessarily which they banged about rightaway from other start inside 1997; that got moment for folks to know the theory powering Arctura. Nowadays, it's got delivered several significant adjustments to look at sporting. It’s any modern bit to look just about everywhere with out restricting the exciting character! Which makes it really striking. Today’s high-tech variants are usually Arctura re-born, together with chanel outlet several outdated timers may well just like contacting audacious. Nevertheless the level the following is: Audacity will be the Traditions! Inside the perception, in the event you take into account a great aerodynamic (and also a lot ergonomic office) kind just like audacity. Futuristic styles, simply speaking. louis vuitton replica notebook hand bags tend to be compared to the basic carrier, while they have got a lot of particular storage compartments for carrying equipment, audio, and lastly any notebook inside. Notebook hand bags certainly are a tiny louis vuitton replica sale, to arrive with $110 for your simple product.